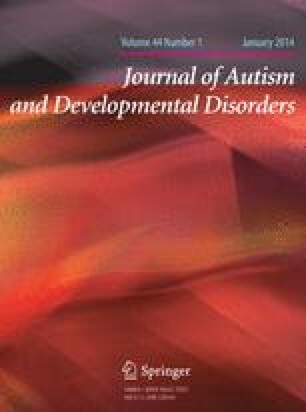 This study provided sleep education to parents of children with autism spectrum disorder (ASD) to determine whether an individual or group format was more effective in improving sleep and aspects of daytime behavior and family functioning. Eighty children, ages 2–10 years, with ASD and sleep onset delay completed the study. Actigraphy and parent questionnaires were collected at baseline and 1 month after treatment. Mode of education did not affect outcomes. Sleep latency, insomnia subscales on the Children’s Sleep Habits Questionnaire, and other outcomes related to child and family functioning improved with treatment. Parent-based sleep education, delivered in relatively few sessions, was associated with improved sleep onset delay in children with ASD. Group versus individualized education did not affect outcome. We acknowledge the efforts of our study coordinators including Deborah Wofford, Amanda Wyatt, Harriet Austin, Bonnie Chan, Ester Hsueh, and Pam Green, educators Kim Frank, Kay Artibee, and Cathy Petta, and the families who generously participated in this project. This work was presented in part at the 2012 International Meeting for Autism Research, Toronto, Canada and the 2012 Meeting of Associated Professional Sleep Societies, Boston, Massachusetts. This research was conducted as part of the Autism Speaks Autism Treatment Network. Main support came from a cooperative agreement (UA3 MC 11054) from the U.S. Department of Health and Human Services, Health Resources and Services Administration, Maternal and Child Health Research Program, to the Massachusetts General Hospital. The views expressed in this publication do not necessarily reflect the views of Autism Speaks, Inc. or the Maternal and Child Health Bureau. Additional support was provided by CTSA award No. UL1TR000445 from the National Center for Advancing Translational Sciences. Its contents are solely the responsibility of the authors and do not necessarily represent official views of the National Center for Advancing Translational Sciences or the National Institutes of Health.